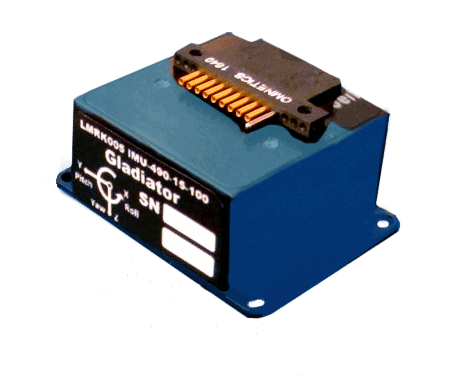 Gladiator Technologies is a leading provider of rugged, high-performance MEMS inertial systems and sensors, specializing in low-noise, high-performance products for demanding environments. Our products are used in a wide range of unmanned systems applications, across Automotive, Aerospace, Defense, Marine and Industrial markets. 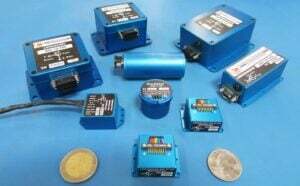 Our low noise inertial MEMS sensors and systems are ideal for unmanned vehicle platforms, including UAVs (unmanned aerial vehicles), UGVs (unmanned ground vehicles) and AUVs/UUVs (unmanned underwater vehicles), and have been used for navigation, flight control, image and platform stabilization and much more. Our advanced Inertial Measurement Units (IMUs) are built for robust performance in the demanding environments often faced by unmanned systems. They feature environmental sealing, precision alignment, internal vibrational isolation as well as bias, scale factor and misalignment modelling over the entire operating temperature range. 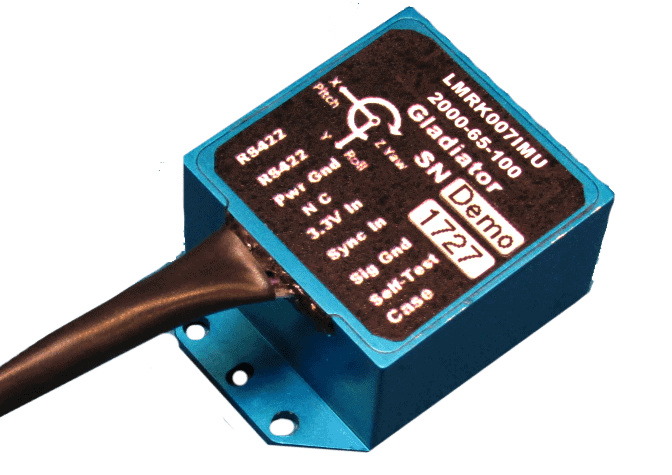 The LandMark™ 01 is an ultra-small IMU that features our standard range of IMU capabilities and provides internally temperature compensated RS422/RS485 output at up to 2500Hz data rate of delta velocity and delta theta. It is a versatile choice for space-constrained applications that still demand outstanding performance. The LandMark™ 005 is our smallest and lightest IMU, weighing in at 18 grams with a size of 0.6 in3. With low noise and exceptional bias in-run and bias over temperature, it features all our standard IMU capabilities. 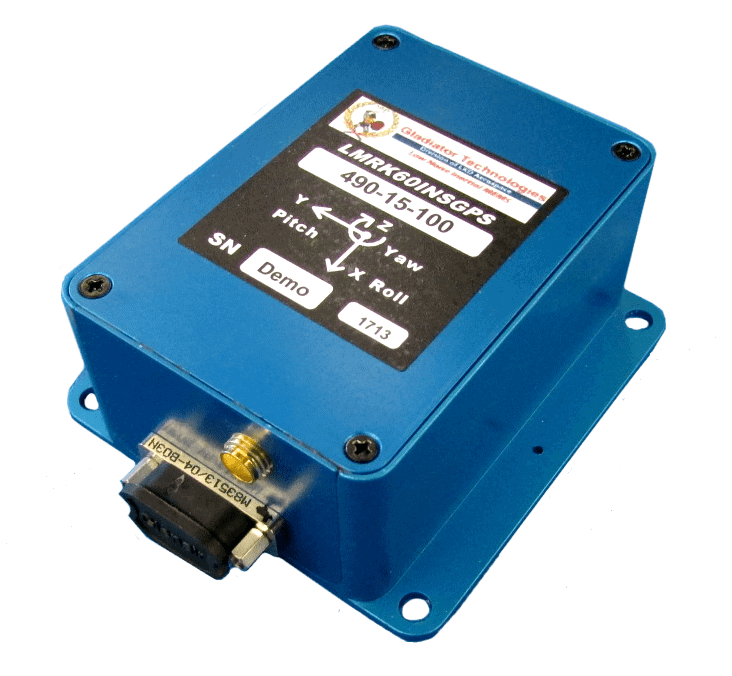 The LandMark™ 007 is a high range lightweight IMU that is the smallest in its performance class. 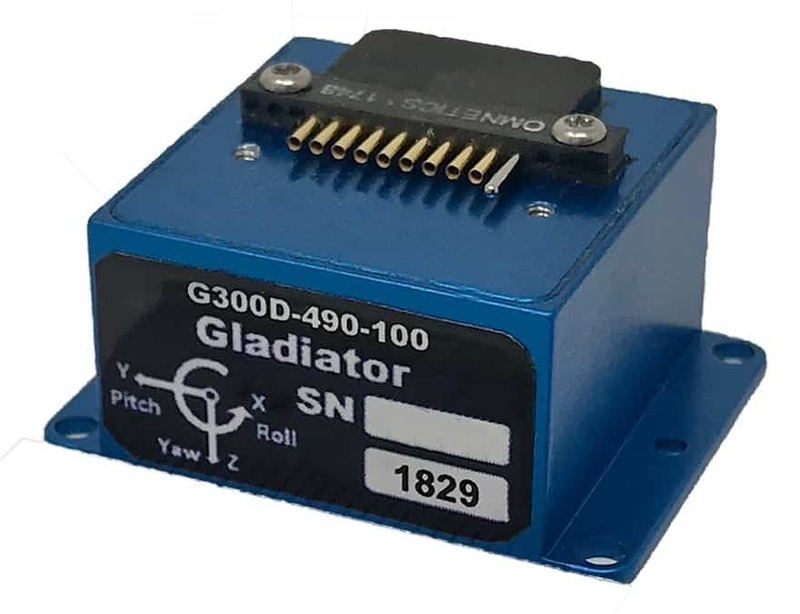 It features low noise gyros and accelerometers, enabling precision measurement in high vibration environments such as unmanned systems applications. The LandMark™ 60 is our highest performing, low noise IMU that provides RS422/RS485 output at 5 kHz output and CANBUS 2.0B at 1MHz and is also available with analog output (MRM 60). 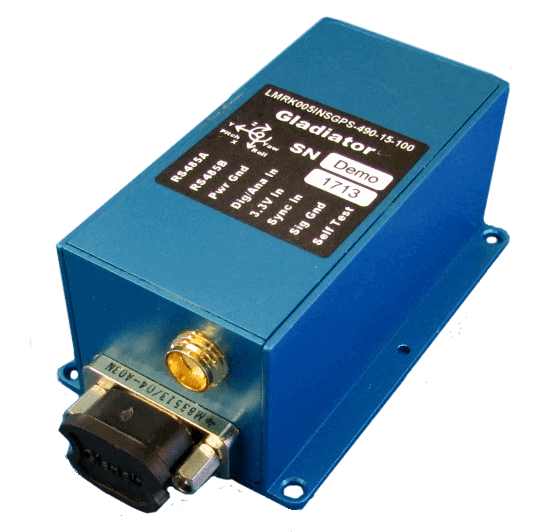 It is ideal for applications requiring high inertial performance approaching FOG (Fibre Optic Gyro) class but at a lower cost. 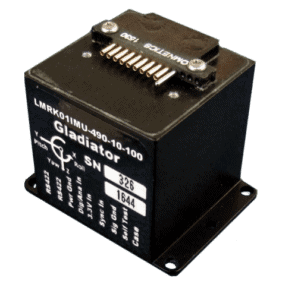 The LandMark™ 65 IMU IMU is our highest performing IMU with low noise and high dynamic range of 2000 deg/s gyros and 65g accelerometers. The rugged unit provides RS422/RS485 output at 5 kHz output and CANBUS 2.0B at 1MHz. The MRM60 IMU is an Analog output version of the high performance LandMark60 IMU with low noise. It provides an easy-to read X, Y and Z analog output for both gyros and accelerometers, and is ideal for unmanned vehicle navigation and platform stabilization applications. 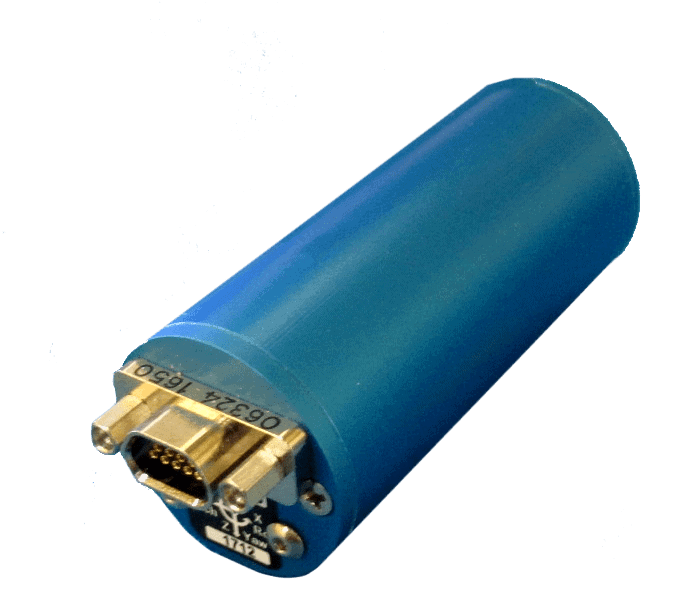 Featuring the same rugged environmental sealing and protection as our IMUs, all our INS/GPS feature a 72-channel, 18Hz update rate GPS receiver and high-performance MEMS inertial suite, using state-of-the-art Kalman Filter algorithms to optimize inertial navigation for UAVs and other unmanned vehicles during short-term GPS outages. All of our GPS/INS have a common messaging protocol that enables users to easily switch between performance settings without the need for system software changes. 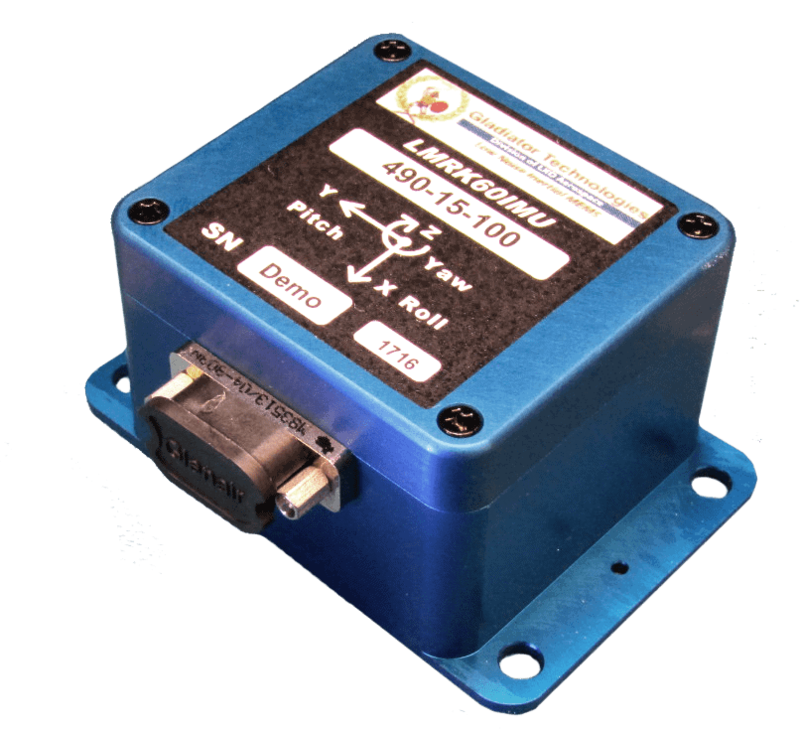 The LandMark™ 005 is a rugged low-noise INS/GPS that provides precise RS485 output of position, velocity and precision time, altitude, delta velocity, delta theta, heading, and pitch and roll angles. Its signature feature is the continued output of Kalman Filter INS position data even in the case of short-term loss of GPS. The LandMark™ 60 is our lowest-noise INS/GPS. Ideal for flight control, navigation, platform stabilization and other general unmanned aircraft requirements, it also features CANBUS output. Our new highly durable gyros offer lower noise, better bias and improved environmental sealing and connectors. These high-performance units are temperature compensated for bias, provide g-sensitivity correction, and have the ability to withstand the high levels of environmental vibration and shock typically found in demanding unmanned systems applications. The G300D is an ultra low noise triaxial MEMS gyro with a bandwidth of 250 Hz and industry-leading bias in-run and bias over temperature. The G300D boasts an 8kHz output rate and It is offered in 250°/s or 490°/s rate range variants. Weighing less than 18 grams, it is the smallest triaxial gyro in its performance class. The DIGS™100 Inertial Guidance System is an AHRS designed for downhole applications such as orientation and directional guidance for utility and vertical well drilling. This small and rugged MEMS AHRS provides internally temperature compensated RS422/RS485 output of pitch, roll and yaw angles; and is tested to and meets IP68. With a small size and high-performance, low noise gyros and accelerometers, it is ideal for environments with tight drilling space constraints. By submitting this form, you consent for your details to be sent to Gladiator Technologies and its authorized partners in order to respond to your inquiry. Depending on the location of the organization, your personal information may be transferred and processed outside of the European Economic Area.